Peppercorns are the small, floral, and pungent fruit of the pepper plant. White peppercorn is the result of removing the skin from the peppercorn before or after drying. White pepper is less potent than the more common black pepper. 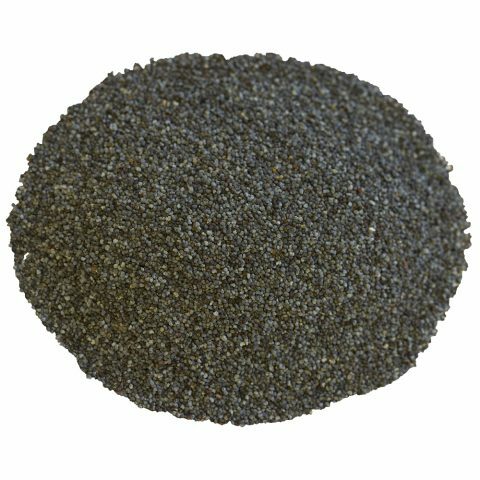 Some chefs choose ground white peppercorn over black peppercorn for its aesthetic appeal: when added to lightly-colored dishes, white pepper leaves no trace, meaning no black specks. Because of its mild flavor, white pepper is preferred in European cooking and is very popular for a number of Asian dishes. It is also gaining popularity in American cooking for its distinctive and floral taste. White pepper’s flavor profile includes spice, wine, and earthy tones. Because the skin has been removed from white peppercorn, leaving a concentration of flavor, white pepper has a slightly hotter and more piperine taste than black pepper. It is used throughout the world, including in Indian, Asian, Mexican and European cuisines. It is floral and spicy, making an excellent addition to any dish where you would normally find pepper. Try it in soups, white sauces, in a marinade, or with stir-fries. In soups, especially Asian recipes, such as hot and sour soup. In this recipe, unlike other Szechuan dishes, the soup gets its zest from white pepper. White pepper can also be found in Vietnamese and Thai soup recipes. In French cooking, especially for lightly-colored sauces. The use of white pepper in lightly-colored dishes (such as white sauces and mashed potatoes) actually originated in French cooking. In Swiss cooking. White pepper, called vitpeppar in Swiss, is a key ingredient in Swedish meatballs with cream sauce. It can also be found in other Swedish and regional recipes. 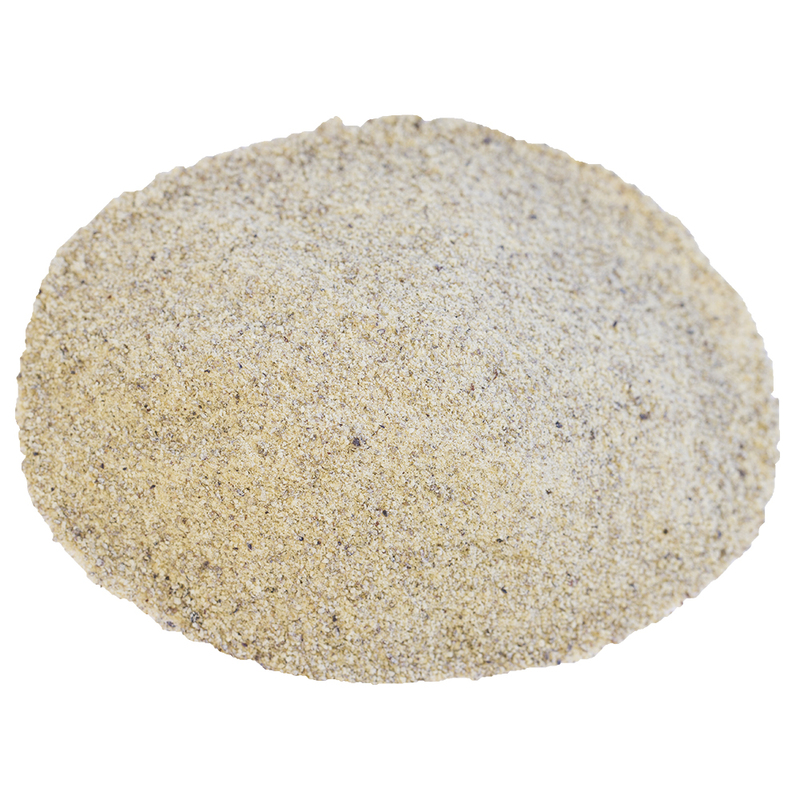 Ground white peppercorn has long been popular in lightly-colored dishes in France and other European countries. While black pepper is its more popular cousin in America, white pepper is gaining popularity and can be found in white sauces, mashed potatoes, and other common dishes. White peppercorn comes from the pepper plant, which is endemic to South Asia. In the fourth century BC, trade routes opened from Asia, bringing pepper to the west. Pepper’s popularity quickly made it an important, expensive, and valued spice. White pepper, which required a more involved process to produce, was even more expensive than black pepper. While pepper is a common sight on dining tables today, it was once considered so rare and valuable that it was traded like money. Pepper could be used in lieu of gold for taxes or rent payment! White peppercorn is sourced from the berry of the pepper plant, piper nigrum. Pepper plants grow best in well-drained soil, rich in organic matter, at an elevation of up to 1200 meters. Pepper plants grow best in sheltered valleys and places with little wind. They are the most productive in areas with sufficient annual rainfall (not less than 1.75 meters) to ensure maximum pollination. Berries are harvested when the pepper plant is seven to eight months mature. To produce white pepper, peppercorns are soaked in water for five or six days until the outer coat can be easily removed. The inner seed is then dried, producing the white peppercorn. White peppercorn is made from fully ripened pepper berries. The unique method of processing white peppercorns leaves the fruit pure and potent. Peppercorns are usually sun dried but can also be dried in an oven. Our ground white peppercorn comes from Sri Lanka, a place of origin of the pepper plant. In Sri Lanka, pepper plants are mainly grown in the low and central areas of the country, in wet and intermediate agro-climate zones. Because of the climate and soil nutrition in Sri Lanka, pepper from this origination has a high piperine content, making it a premium product in the spice market. In Sri Lanka, there are over 200,000 pepper farmers, with a quarter of them entirely dependent on pepper and other spices for their well-being. Most pepper farmers grow plants on small plots of land or in home gardens. Sri Lanka ranks fifth worldwide for pepper cultivation. Our white peppercorn is just that: there are no additives or fillers. Ground white peppercorn involves a more delicate and involved process than black peppercorn, increasing its value. Because of the high quality of our ground white peppercorn, the flavor profile is more aromatic and floral than generic pepper. Use sparingly and experiment with different dishes.